Industrial Buffing Machine 1 Phase Wholesalers, Suppliers & Dealers in Dubai. We are wholesale Industrial Buffing Machine 1 Phase is very sleek & elegant bench polisher machine. Masonlite is pleased to introduce a portable acrylic buffing machine. It is used for buffing edges of acrylic & polishing different thickness of acrylic using various types of buffing wheels. Just apply the soap on the buffing cotton wheel and polish the edges of acrylic. 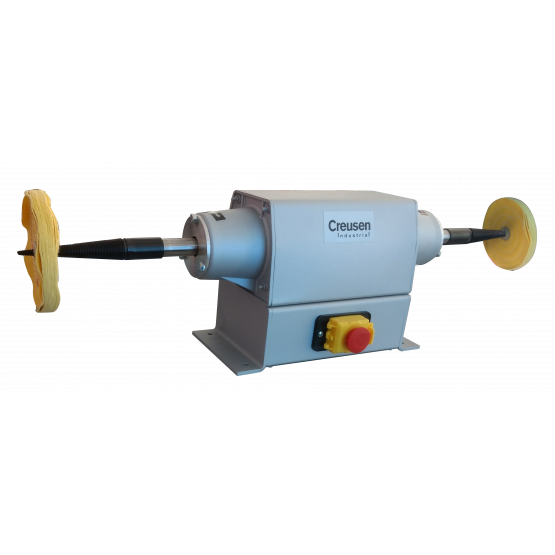 It is a very sleek & elegant bench polisher machine.